Corlu is home is many of Turkey’s most rapidly growing business and manufacturing centers. Divan’s signature style blends well into the commerce-driven sector, combining the feel of a chic, modern atmosphere with the homely comforts travelers expect, keeping guests at peak productivity levels throughout their stay. 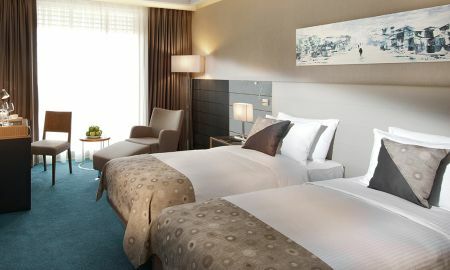 With 120 guestrooms, including 112 Deluxe Rooms, 7 Single Rooms and 1 Business Suite, the Divan Corlu boasts a variety guests will find suitable to their every need. Conveniently positioned less than five minutes from the E5 Highway and 10 minutes of the Çorlu Industrial Zone, the Divan Çorlu is the perfect spot from which to anchor or launch a productive business getaway. Delectable cuisine meets contemporary dining at the Divan Pub, boasting a modern chic that would fit seamlessly into Soho or Chelsea, while retaining an authentic knack for Mediterranean and world cuisine. When the time comes to begin negotiations or seal the deal guests have been working on, the Divan Çorlu offers four meeting rooms with various styles from sophisticated boardrooms to a glittering, spacious ballroom for guests of all tastes and needs of all types. Positioned right in the heart of Çorlu, only one hour from Istanbul Atatürk International Airport and five minutes from Çorlu Airport. The hotel is near main of the area’s major highways, incluing the E5, as well as the Çorlu Industrial Zone and various other manufacturing districts. 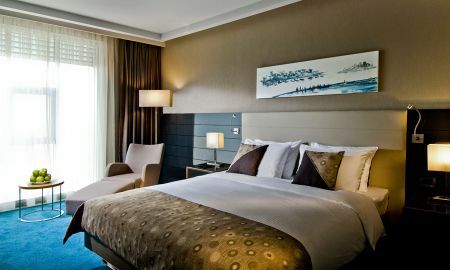 With Çorlu’s central business district only minutes away, the hotel’s location is ideal for those seeking to explore the surrounding terrain -- whether it be f Turkish Thrace or the Gallipoli Peninsula -- making its position as perfect as its state of the art facilities.